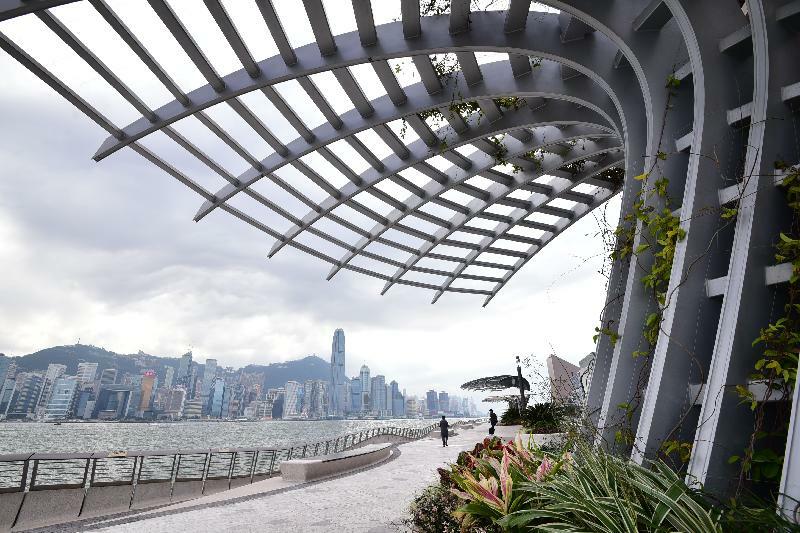 To celebrate the completion of revitalisation works at the Avenue of Stars (AoS) in Tsim Sha Tsui, a re-opening ceremony was held today (January 30), which will be followed by official re-opening to the public tomorrow. Speaking at the re-opening ceremony, the Permanent Secretary for Home Affairs, Mrs Cherry Tse, said the revitalised AoS has an aesthetic new look, and is now more functional, comfortable and convenient for local residents and overseas visitors, making it a world-class harboutfront landmark. She thanked the Yau Tsim Mong District Council (YTMDC), the Harbourfront Commission (HC) and the travel and film industries for their affirmation and advice, as well as the New World Development (NWD) for its efforts in taking forward the whole renovation. 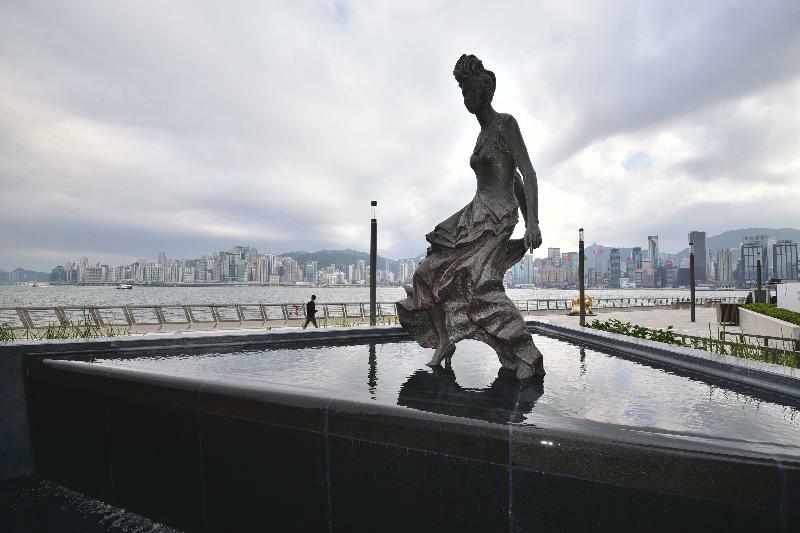 The AoS revitalisation works have enhanced those elements related to the Hong Kong film industry. In addition to the 107 original superstars' handprints, nine new handprints from the winners of Hong Kong Film Award for Best Actress will be added soon. A special pig hoof print from one of the McDull statues has also been added. 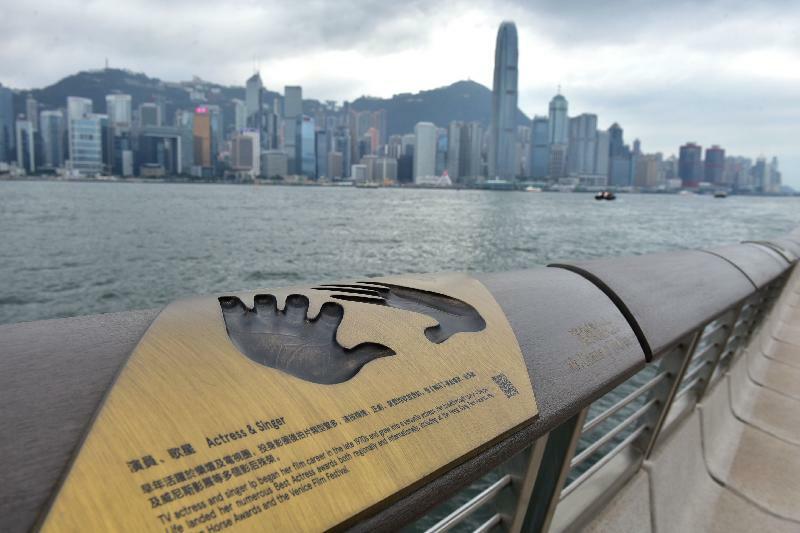 All handprints have been newly designed and carry the elegant bronze colour of the Hong Kong Film Award statuette. The handprints have been finely crafted and the palm prints are clearly visible. After relocating the handprints to wooden handrails, visitors can now enjoy a closer look at them. To enable visitors to get closer, the four bronze statues are no longer surrounded by fences. 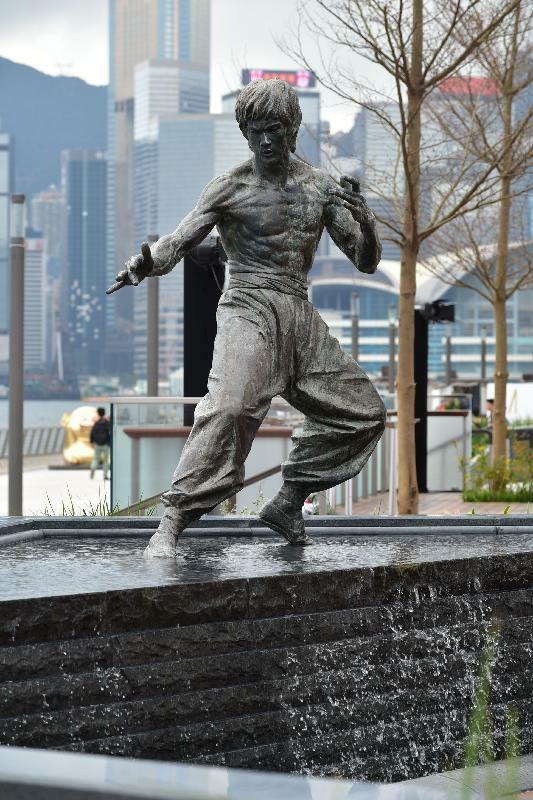 The statues of Bruce Lee and Anita Mui are decorated beneath with flowing-water features; the water installation for the former flows faster to represent Lee's martial arts fighting speed, while the latter flows more slowly to mimic Mui's performance on stage. With the integration of digital technology, visitors can use smart phones to scan QR codes near the handprints to view a brief biography and film footage of the superstars and learn more about them. They can also take photos next to the statues of the superstars with the augmented reality (AR) based technology on site. 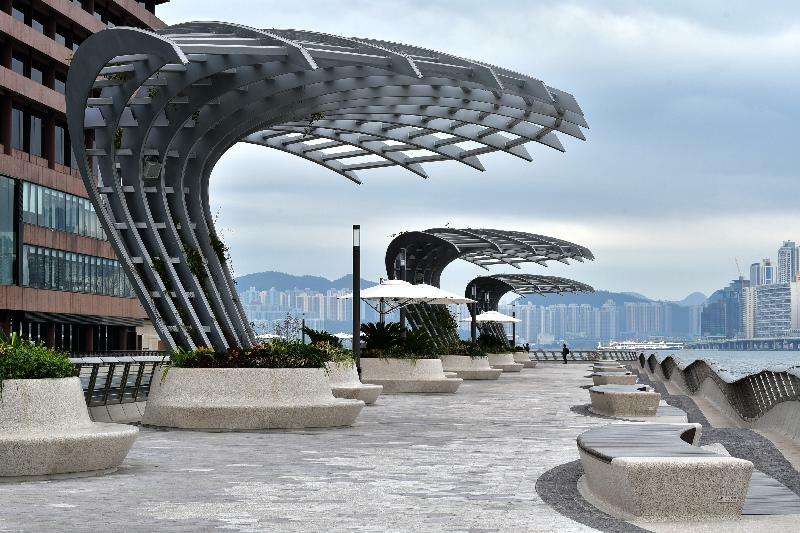 The revitalisation project, which commenced in October 2015, also provides visitors with a more comfortable and relaxing harbourfront for meeting with others. The project emphasised landscape design, leading to a double of the seating area, as well as an increase of shaded and green areas by about 700 per cent and 800 per cent respectively. 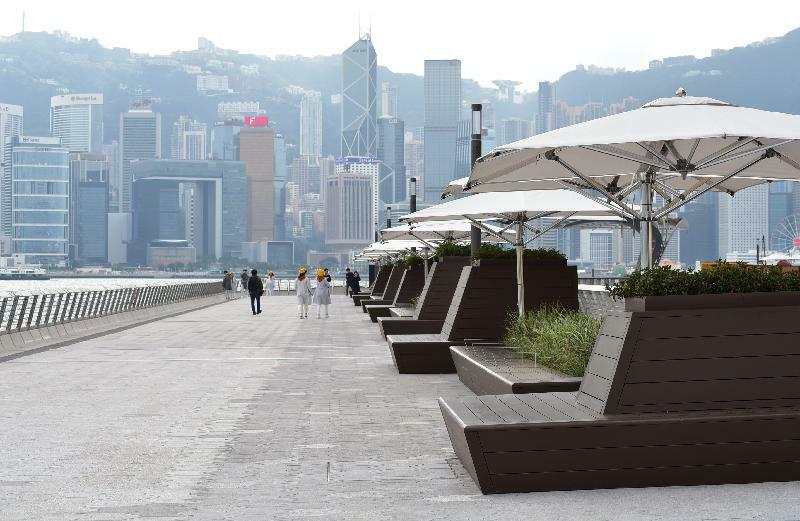 Environmentally friendly materials have also been used - the railings and chairs are made of a bio-based wood substitute which mainly consists of rice husks, while the light-coloured pavers, which partly comprise recycled glass, help reduce heat absorption. Other officiating guests included the Director of Leisure and Cultural Services, Ms Michelle Li; the Executive Director of New World Development, Mr Sitt Nam-hoi; the Chairman of YTMDC, Mr Chris Ip; the Chairman of the HC, Mr Vincent Ng; the Chairman of the Task Force on Harbourfront Developments in Kowloon, Tsuen Wan and Kwai Tsing, HC, Professor Becky Loo; the Chairman of the Hong Kong Tourism Board, Dr Peter Lam; the Vice-chairman of Hong Kong Film Awards Association, Mrs Vicky Leung; and the lead designer and landscape architect of the AoS revitalisation project, Mr James Corner. The LCSD owns the AoS and has entrusted the Avenue of Stars Management Ltd with the management, repair and maintenance of the site. The department has set up and been chairing a Management Committee, comprising representatives from government departments and organisations, to oversee the day-to-day management and operation of the AoS. For the most up-to-date information on the AoS, please visit www.avenueofstars.com.hk.